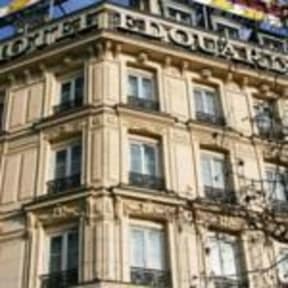 Hotel Edouard VI i Paris, Frankrike : Boka nu! Right in the heart of one of the most famous early century places of Paris, come and see the Hotel Edouard VI and Montparnasse. 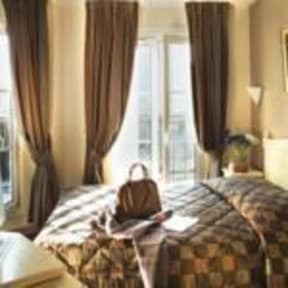 The Hotel Edouard VI is located very close to the most beautiful Parisian coffee shops and numerous show places. You will enjoy the calm comforts of our 33 typical rooms and appreciate the authentic charm of the cellar breakfast room's magnificent vaulted ceiling. All rooms are sound proofed, fully equipped with phone, color TV with Canal +, radio, mini-bar bathrooms and air conditioning.